Putting this together wasn't 45 minutes... It was 1,5-2 hours... :D I've tried the way how Benjamin makes their strips. Even I hate blur nowadays this technique is the closest for painting. And this is my first Joker painting in my whole life... :D I made a watercolor Batman when I was 14. 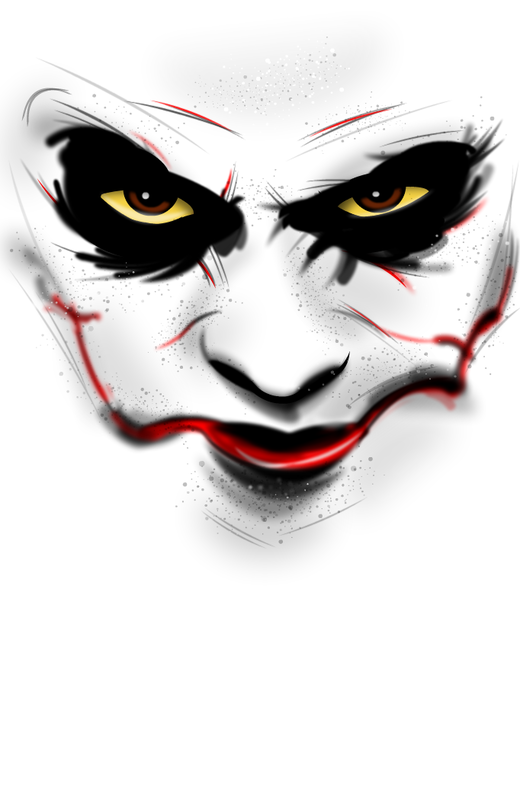 And this is my all time favorite Joker I've ever made. This strip is a reply to Why so serious?, I have a Joker, Why So Serious?, Do I look like I'm joking?, More to come..., Stripgenerator - Makes You Addicted..., Have a Nice Day..., The Stripbusters - We are back, The Strange Case Of The PyroClown, Stripbusters Special: Thunderstruck, ..a moment of sadness, I believe..., What SOPA Means, Surprise Baby, art rage, Aussies' - cohabitation, The eyes, ALIeN by benjamin895, The Last Days of Gotham's Knight, The Dynamic Duet, I am what I am ..., I eat, therefore I am ..., I spy ..., my time is now.., can you see me?, Manga Contest, A girl with yellow eyes, I'll Be Watching You, We're watching you, The Joker's Eyes, On this day, The Dark Knight, Rocky and Me #1: Battle of Wits, Everything Burns, sad clown, The Iron Batman, Evil Interpretation, This place deserves a better class of criminal, Vampironique, KARLOFF, Smilin' Like A Boss!, Why so Delicious?, Tragedy, Return of the Crow, Resurrection, La Muerte Chiquita, Ha...., behind a smile, Why so serious?, Posable Harley figure!, I finished Arkham City, ..why so serious?, Joker Contest, 'CHOPPER', Wait, what!? THIS IS SO GOOD!!!! AWESOME JOB!! Pensco: you will have to fave all Ambrosius strips! How long did it take you to make that?!?! so tru.... live life wile you have it!!!!!! spring break 2013! !